Kessler does two things that would regularly raise questions of taste. First, he mixes styles. Second, one of them is tribal. 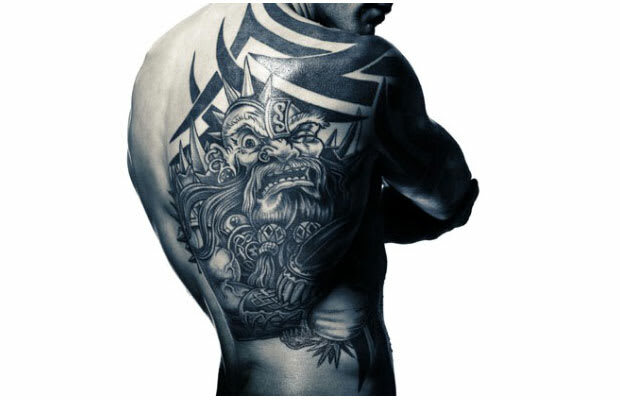 However, the complete warrior aesthetic achieved through the mash up of Nordic viking figures on the torso match reasonably well with his arm's bold black lines. While he certainly didn't scare Joe Calzaghe, Kessler's intimidating ink has helped conquer other fighters.